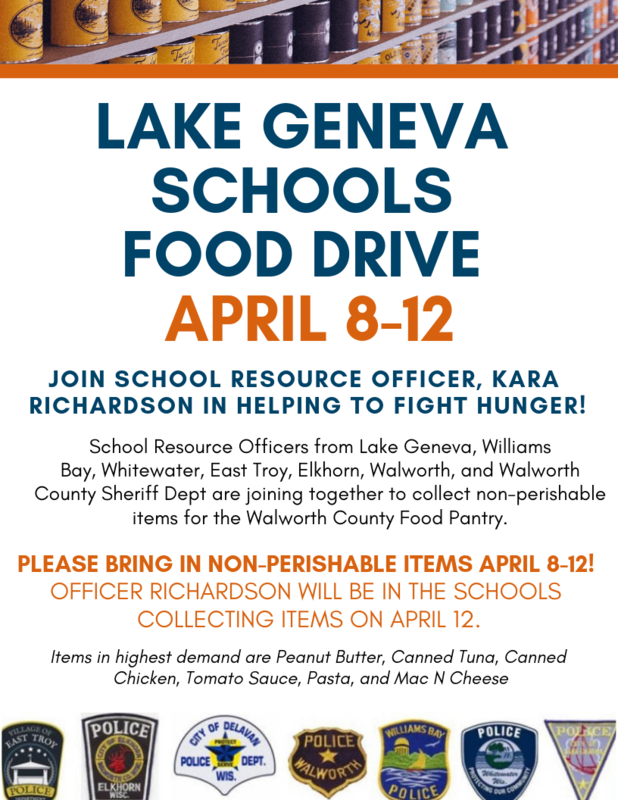 On April 13th, the School Resource Officers from Lake Geneva, Williams Bay, Whitewater, East Troy, Elkhorn, Walworth, and Walworth County Sheriff Dept are traveling to six locations around the county to collect food donations for the Walworth County Food Pantry. 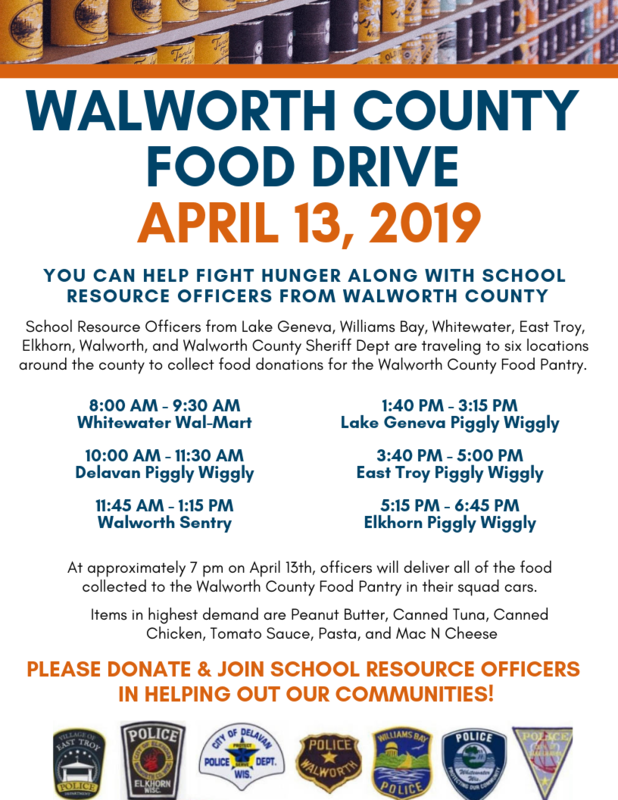 At approximately 7 pm on April 13th, officers will deliver all of the food collected to the Walworth County Food Pantry in their squad cars. *There will not be a drop off spot at the above locations prior to the times listed. The officers will just be collecting during the hours listed. However, LGPD will start accepting donations at the Police Department April 4th - 12th. Please join us in helping out our communities! Police Departments assisting in the food drive are the Walworth County Sheriff's Office, City of Lake Geneva, City of Whitewater, Village of Walworth, City of Delavan, Village of East Troy, and the City of Elkhorn. The food pantry advised that the items in highest demand are Peanut Butter, Canned Tuna, Canned Chicken, Tomato Sauce, Pasta, and Mac N Cheese.